The kitchen cabinets we offer in Lakeland, FL are stylish, sturdy, and high-quality. Not only do we provide flooring services, but we are also the top provider for kitchen cabinets and countertops in the Lakeland, FL area. At Jim’s Floor Depot, we can help you with this very exciting part of your home remodel. We understand Kitchen cabinets must be both beautiful and functional, and we are happy to help you find the perfect ones for your home. When you begin a kitchen remodel, you may feel overwhelmed with the selections of brands, colors, and textures of cabinets to choose from. We want to make that selection process easier for you. We provide you with a selection of quality kitchen cabinets. Whatever style you choose, you are going to be impressed with the durability and look of your new cabinets. We also offer custom and semi-custom variations, so we can fit the product to your needs. No matter your kitchen style or use demands, we can find you the perfect fit. Our kitchen cabinets are stylish, sturdy, and high-quality. You can be sure they will last you for many years to come. Cabinets and countertops are the focal point of your kitchen, so having impressive and up-to-date products can add value and luxury to your home. We even have home decorating consultants on hand to make sure you find the perfect accents for your kitchen’s style. 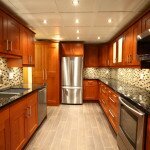 If you are looking for a good way to modernize your home, give us a call. We can help you choose the ideal cabinets for your home, and we know you will love your kitchen’s updated new look.